On June 28, 2013, a single bolt of lightning sparked an inferno that devoured more than 8,000 acres in Northern Arizona. 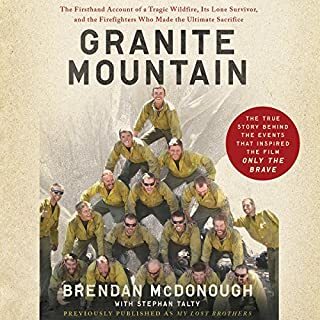 Twenty elite firefighters - the Granite Mountain Hotshots - walked together into the blaze, tools in their hands and fire shelters on their hips. Only one of them walked out. Be on the fire line, and in their heads. A nominee for the National Book Award, Ivan Doig's brilliant memoir shares the experiences and culture that shaped his early years and made him fall in love with the West. From his childhood in a family of homesteaders through the death of his mother and his move to Montana to herd sheep, Doig shows his intimate connection with the American West. 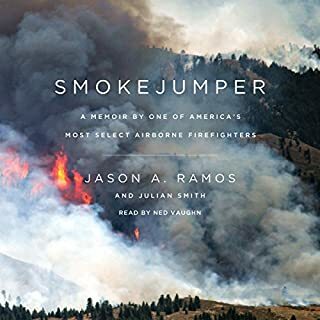 For readers and viewers of The Perfect Storm, opening this long-awaited work by Sebastian Junger will be like stepping off the deck of the Andrea Gail and into the inferno of a fire burning out of control in the steep canyons of Idaho. Here is the same meticulous prose brought to bear on the inner workings of a terrifying elemental force; here is a cast of characters risking everything in an effort to bring that force under control. Part of Ivan Doig’s acclaimed Montana trilogy, English Creek revolves around Jick McCaskill, a 14-year-old growing up in 1930s Montana. This incandescent coming-of-age tale dramatizes the climatic events of one summer that inevitably mark Jick’s awakening from childhood to adulthood. Now Connors returns with the story of what drove him up to the tower in the first place: the wilderness years he spent reeling in the wake of a family tragedy. This is an unforgettable account of grappling with a shattered sense of purpose, from his family's failing pig farm in Minnesota to a crack-addled Brooklyn neighborhood to the mountains of New Mexico, where he puts the pieces of his life back together. I had read this book, and was glad I had my printed copy to refer to the maps. But either way, it is one of the greatest books I have ever read. It is tragic, and magnificent. Moving and technically fascinating story. 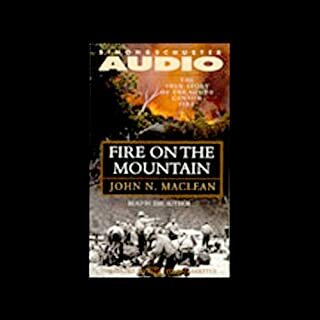 Going to listen to the rest of Mclean's writing now. Superb writing and magnificent narration. 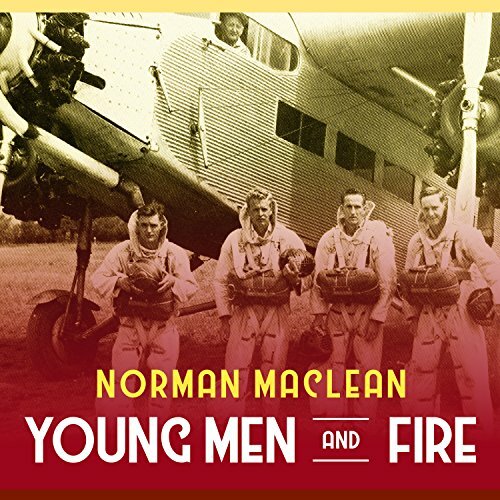 The greatest strength of "Young Men and Fire" is its way with words, its turns of phrases, its shocking imagery. It's like the Literary version of Creative Nonfiction, just beautifully written. 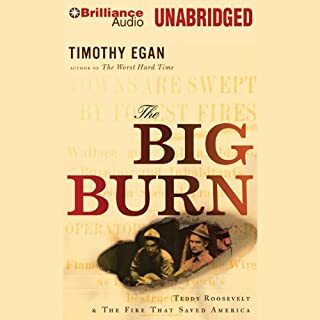 The first part of the book is of the fire itself, of the young men, some mere boys, who didn't even have a chance to try to fight it, but were running for their lives within mere minutes of its blowing up. 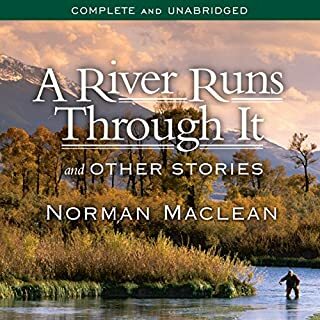 This is followed by Norman Maclean's efforts to really get at what happened, complete with going back to the scene several times, as a relatively aged man, to find juniper bushes, crevices in rocks where two terrified men could squeeze through, rusted cans with two punctures in the rim, to see if the crosses for the dead are where men indeed met their wretched ends. It's a mystery, it's a battle with a bureaucracy, it is research at its humane best. But through the whole book, the writing is what stands out and what holds it back. 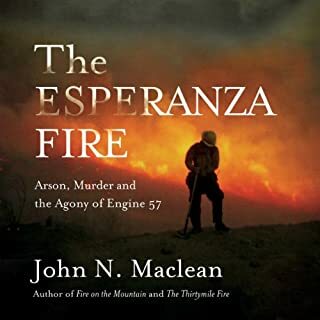 Maclean had to abandon the work before his own death, and I guess this is what the editors drew together to make a whole work that is not without its seams. The poetic turns of phrase jump back and forth, sometimes stumbling around making the reader/listener get lost in time and in space. I wonder if this stands out more here in this Unabridged version. Still, it's a vivid account of a horrible day, a fine tribute to those who lost their lives, who might've been saved except for unfortunate split-second decisions, a poem about life and death, and a window into an old man's soul. Not a perfect listen, but I enjoyed the many questions posed, lived, answered. This is the worst narrative I have heard in over 30 audio books. This book was not finished in Maclean's lifetime and you can tell. Although the research is superb, and certain sections magnificent, it meanders and desperately needed a good editor. It is still a fine book and worth the trouble, but bear this in mind. I am at a loss of words for how the author achieved both an epic story-telling and a research of a neglected historical event.